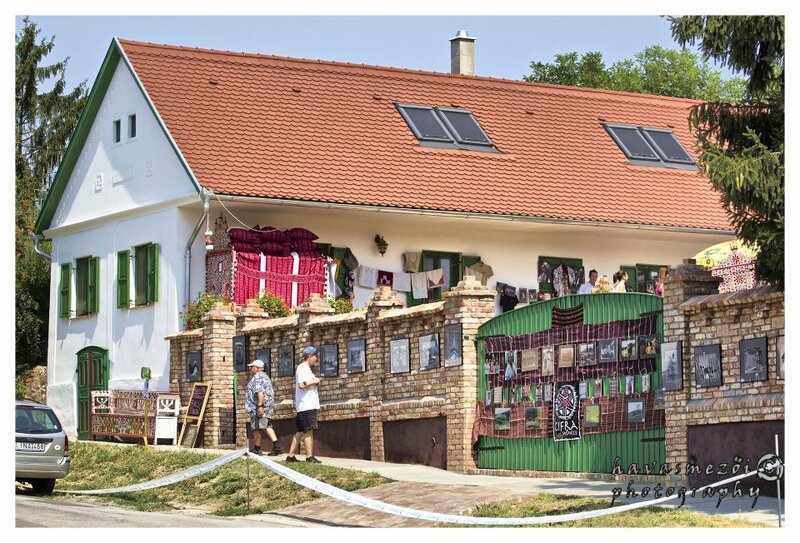 The “Cifra Műhely” has opened its “Cifra” farm in Palkonya (South-West Hungary) in the wine region of Villány already two times, in the year of 2012 and 2013 during the “Ördögkatlan” festival. Visitors are welcomed by folk music concerts, folk dances, songs and music, folk dance performances moreover by folklike foods and delicious wines. Thanks to our friends, there are numerous exhibitions to visit in our farm under the opening time: the exhibition of the pearl-jewel maker artist Kokas Éva, the photos of Henics Tamás (medical scientist, photographer and amateur folk-musician) and our exhibition, the “Cifra” decorated room from the village of Méra, which represents a beautiful pearled from the Carpathian Basin, the colourful folk-culture of the region of Kalotaszeg (Transylvania). We also think about the children. By the help of our pearl-jewel maker they can develop they manual skill (adults can also take part in the game). Children can represent themselves as fairy-tale figure in support of our puppet player and teller of fairy-tales. Our collaborators are steady residents in the “Cifra” farm create a good mood, so you can feel like home. If you want to participate in our program or need further information, find more details on the website of “Ördögkatlan” festival (www.ordogkatlan.hu).